Sunday 13th September brought together those who will be heading South this season. 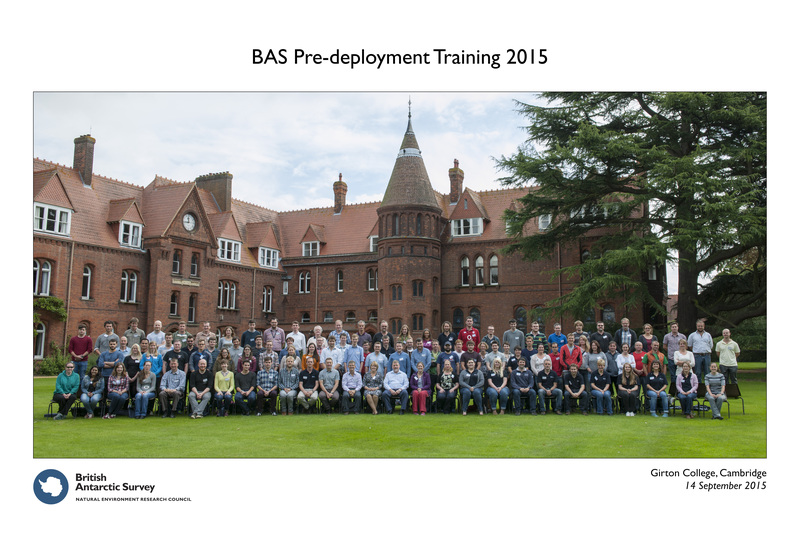 Held at Girton College, the pre-deployment training arms you with skills and information to work in Antarctica. For many it's also the first chance to meet who you'll spending your time with on station or in the field; whether it be a couple of weeks, months, or over a year. 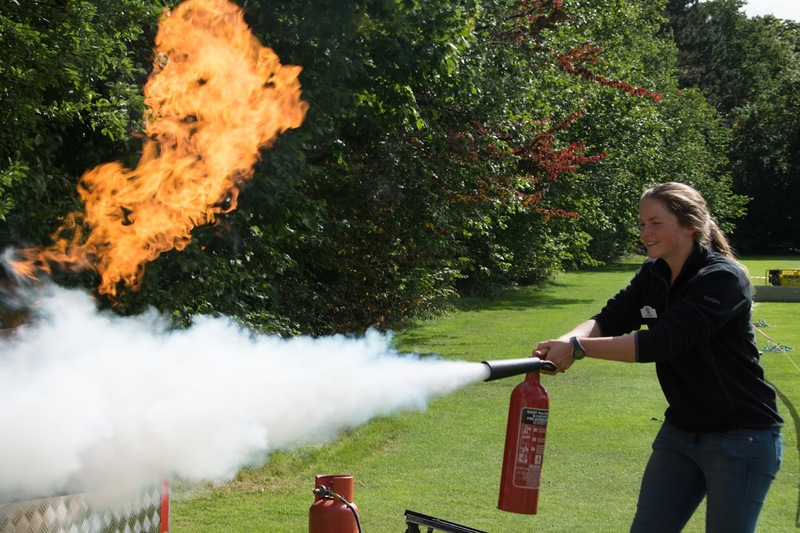 The training covered a variety of topics from safety through to photography, with practical courses such as fire warden training and oil spill response. While the training is important, the time spent meeting people is just as crucial. The friendships forged during this time provide the basis for strong teams which can not only work, but also live together. What better way than getting to know each other than a ceilidh? The highly anticipated, but potentially embarrassing, annual dance was well attended; not only by those training but also BAS staff and their families. While starting slowly with old friends getting reacquainted, enough lubrication was applied to get the ceilidh off to a strong start. This grew throughout the night to an impressive and knackering “Strip the Willow”. Those who enjoyed a the ceilidh a little too much were jolted into action with the start of the intense BASMU first aid course. The next two days entailed presentations from BASMU doctors together with practical sessions to learn skills such as taking vital signs, resuscitation, and dealing with limb fractures and spinal injuries. The training concluded with a series of scenarios played out by actors to allow the newly learnt skills to be applied. This marked the end of the pre-deployment training, but for those wintering the fun had only just started. Held in the Peak District the Winter Teams Training Week focuses on the practical skills needed to work in the field.The field assistances ran a number of sessions including rope work, navigation techniques, white out search and rescue, and camp craft. Rope work introduced how to safely abseil, jumar up rope, travel safely roped up, and crevasse rescue. There was also a high ropes course to gain more confidence in the gear and for a bit of fun. Search and rescue techniques is carried out under simulated white out conditions, using state of the art vision obfuscation devices i.e. wearing a bucket on your head. A number of search techniques were learnt such as finding your own way back to safety or mounting a search and rescue attempt from a tent. 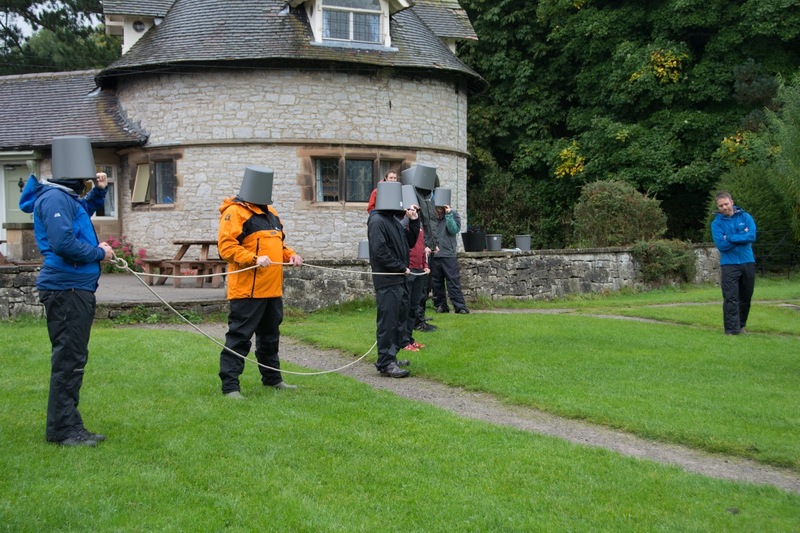 During the search and rescue scenario it was found that projection of voice is suboptimal while wearing a bucket on your head, or indeed in windy conditions. It was another reminder that effective planning and communication is key to operating in the field. Another eye opening session was the use of Primus stoves and Tilley lamps. The designs of which haven't changed since Shackleton starting going south. Operating them is more of an art than science, with many attempts producing two-foot high flames which may pose risk to the tent, although everyone got the hang of lighting them with practice. When not undergoing training the Winter Teams Training Week provided the perfect opportunity for the wintering teams to socialise. This started with a game of frisbee, which slowly descended into chaos as more projectiles were added to the mix. Meanwhile dinner was cooked, each night by a different station. This is where teams really started to pull together, and the importance of good food demonstrated, with each station producing a delicious and hearty meal. For the last night of the field course the station leaders laid on a BBQ, allowing the winters relax and reflect on what they had learnt the previous weeks. In the coming weeks further specialist training is undertaken and the wintering teams will next be a full contingent only once in Antarctica for the start of the summer season.